These best friends already have everything prepared for travel to Russia to see all the games of their favorite teams. They love football and are very excited because this will be the first worldwide to enjoy live and the best they will do together. It helps prepare for each match in which their teams play. 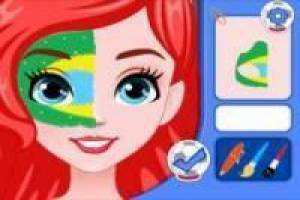 Draw a picture on the face joining the points scored to form the flag of your choice, then painted with colors that tells you finally put your selection flannel and a hat to go with your outfit. 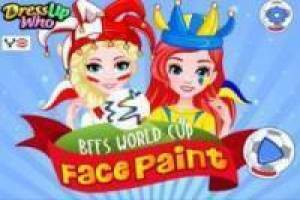 Let's enjoy painting and wearing these beautiful princesses Disney for the 2018 FIFA World Cup. 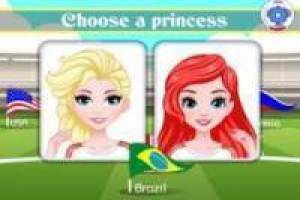 Enjoy the game Elsa and Ariel face for the World Cup 2018 painted Russia, it's free, it's one of our disney princesses games we've selected.